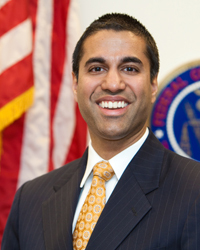 FCC Chairman Ajit Pai will be a guest speaker at the MAB’s summer Advocacy Conference and Annual Meeting, August 13-14 at the Grand Hotel on Mackinac Island. More details to come. Register now so you don’t miss out. Complete registration details, including lodging at The Grand Hotel is available here. Need more information? Call the MAB at 800.968.7622 or email MAB’s Jacquelen Timm, [email protected]. See you on the Island August 13 and 14!